Flood Insurance Rate Changes Effective April 1, 2018 - Mappus Insurance Agency Inc.
Are you interested in how your Coastal South Carolina flood insurance rates might change in 2018. Below provides all (ok, most) of the answers you are looking for related to flood insurance rate increases in 2018. Do you live in Charleston, Mount Pleasant, Sullivan’s Island or Isle of Palms and you are worried about your flood insurance premiums? If so, give Mappus a call (or inquire below) and one of our advisors can walk you through all your options. Yes, options. Not only do we represent the FEMA flood program, unwritten through the National Flood Insurance Program (NFIP), but we also represent roughly ten+ private flood insurance companies. By having options, we can evaluate your situation and deliver the most impactful results ever. If you follow this article to the end, you can complete a form to start the process. Mappus is not only here to save you on your flood insurance premium but provide you with powerful advice to help you with your primary, secondary, rental, or investment properties. Rate Changes: The rates charged for many NFIP flood policies will be increasing per the chart below. There will be no change to the Federal fees and surcharges included within NFIP flood insurance premiums. As a result, most individual policies will see overall premium increases below the percentages indicated on the chart. Special Note: Premiums for certain pre-FIRM rated policies (see the chart above) have been increasing by about 25% since 2013 and they will continue to experience similar increases each year for the foreseeable future. With each policy renewal, it is becoming more likely affected policyholders will benefit from obtaining an Elevation Certificate. As a reminder, Elevation Certificates can benefit clients through lowered premiums, or by qualifying the surveyed building for a Letter of Map Amendment exemption from the Special Flood Hazard Area. If you haven’t already done so, we encourage you to make clients with pre-FIRM A or V zone rated policies aware of the potential benefits of obtaining an Elevation Certificate. Primary Residency Determination: The NFIP will now allow insureds to have two primary residences to recognize situations where an insured occupies a residence more than 50% of the year and their spouse resides at another residence more than 50% of the year. Previously, an insured and spouse were only allowed to declare one primary residence regardless of the actual time spent at each residence. It remains extremely important for your clients to provide the primary residency documentation required by the NFIP in order to be rated as such. 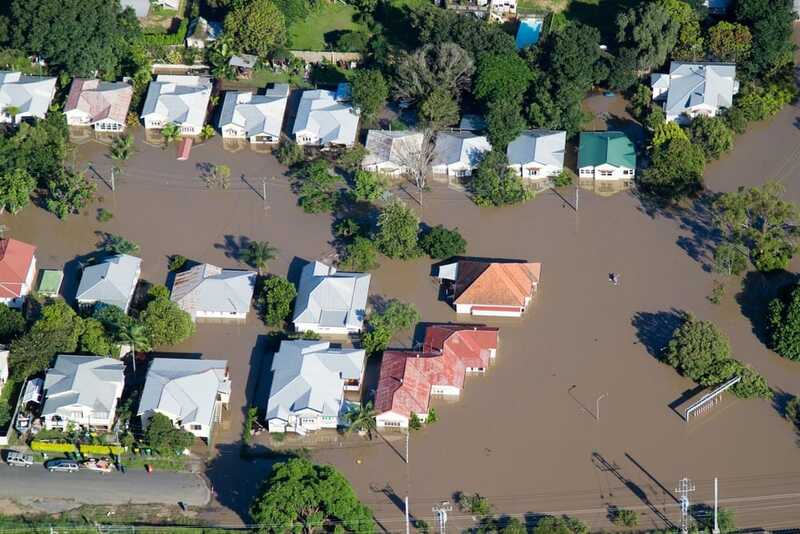 The premiums charged for flood coverage on non-primary residences rated with pre-FIRM A or V zone rates are considerably higher than for primary residences, and all non-primary residences are charged a $250 HFIAA surcharge compared to the $25 surcharge applied to primary residences. Policy Reformations for Use of an Incorrect Policy Form: The NFIP has published guidance for the reformation of policies determined to have been issued under for the incorrect policy form. For example, a policy issued under the General Property form that should have been issued under the Residential Condominium Building Association Policy form. In such occurrences, following the cancellation of the incorrectly issued policy, the issuance of the corrected policy and the application of its policy provisions, the policyholder will be given 30 days to pay any additional premium required to restore the policy limits to the levels in effect prior to reformation. If the use of the incorrect policy form is discovered during the investigation of a claim, the additional premium required to maintain the current policy limits can be deducted from the claim settlement. Non-Sufficient Fund (NSF) Payments: The NFIP has revised the policy effective date rule applicable to situations where a premium payment is made with an instrument later determined to have non-sufficient funds to cover the amount of the payment. Upon being notified of an NSF payment, the policy or transaction for which the payment was made must be immediately canceled and notice sent to the interested parties. If a valid repayment is received, the transaction will be completed in accordance with the effective date rules of the NFIP applicable to the specific transaction type. For example, if the initial transaction involved a new policy or coverage increase subject to the standard 30 day waiting period, the new effective date will be set at 30 days from the date of the valid repayment. Other NFIP Manual rules have been revised to be easier to read and to provide additional guidance. Please note we’ve only highlighted the NFIP changes we see as the most impactful on policyholders in this bulletin. All changes are highlighted in the NFIP manual, which you can access through the Auto-Owners flood system. First click on “Help” in the upper right corner of any screen, and then on “Links”. Note that this bulletin may precede the release of the updated NFIP manual. The above revisions are effective April 1, 2018 for new business and renewals. Unlock your options and saving here! Would you like to upload your current policy documents? Information provided by Auto-Owners Insurance, the no problem people! Father to Poppy. Husband to Ali. I love helping people understand their insurance (yes, I truly do), reading educational and self-growth books, eating great food, and working out in the gym, at the beach, or anywhere outside! Born in Charlotte, NC. Raised in Louisville, KY. College in Charleston, SC. Reside in Mt. Pleasant, SC. I hold many insurance designations and I am very involved within the industry, sitting on our state's insurance association board. I am very involved on a federal level with flood insurance reform.